Asimomitis creates a truly meaty narrative with so many twists and turns that the reader won't know what to expect from one moment to the next. This is not an easy beach/holiday read; the novel is filled with grit and substance which keeps the reader hooked on every word and leaves them thinking days later. The reader is sucked into Greg's life at the height of Greece's economic crisis and follows him as he tries to navigate his way through the ever-growing labyrinth of complexities that get thrust upon him. From conversing with 'aliens' to attempting to thwart the apocalypse quickly coming to the Earth, Asimomitis pulls the reader into a completely engrossing narrative. With many novels which have sci-fi elements it can be easy to lose the human element to the more interesting scientific tropes, but Gignesthai Lemmings never once forgets the human side to all the chaos that befalls the characters. Asimomitis keeps the storyline grounded within current world events, such as political parties, legislation and immigration issues, even when swept into the fictional realm of aliens, spies and artificial intelligence. What is truly outstanding is that Asimomitis was able to add many different layers to the novel without diluting the characters or the narrative as a whole. While the addition of a romance element to the novel may appear arbitrary and unnecessary to the sci-fi narrative it is a welcomed addition, bringing some much needed light to the often dark and heavy story. However, Asimomitis doesn't stick to the societal norms when it comes to his romantic element, focusing mostly upon the sensual often polyamorous aspects of a relationship, and developing a strong deep connection with their partners with no need for labels. This subverted view of relationships is a refreshing and joyous read when expertly blended with the main apocalyptic plot, and creates its own level of complications. Asimomitis is able to perfectly showcase the wealth of emotions that come with romantic entanglements, allowing the reader to see themselves in the complex emotional situations. The reader watches as Greg battles between his personal wishes and desires, and his moral obligations to save the world from its self. Greg's character resonates with the reader, through the expert writing, as they are left wondering how they would handle the impossible situations he is found in. 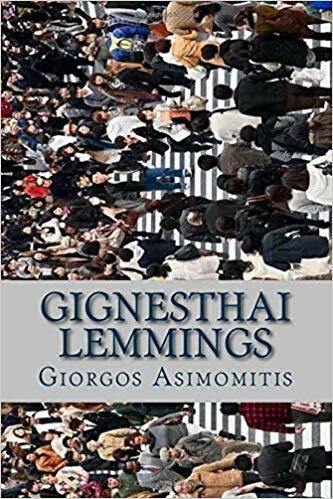 While the main character is certainly Greg, Asimomitis still manages to create truly fascinating and inspiring supporting characters. Greg finds himself surrounded by many strong independent females that drive the story onwards and often push him to greater things. Iro, for instance, being placed as his bodyguard, stereotypically a male role, pushes him to delve deeper into a world he would have otherwise ignored or perhaps not fully explore. Due to the talented character creation of Iro, Olga and others and Asimomitis ingenious narrative structure no stone is left unturned allowing the reader to view the events from every angle. This fully immersive novel is like no other, pulling the reader in deeper and deeper into the expertly crafted labyrinthine story. This novel is recommended for fantasy genre enthusiasts from age 16 up who enjoy learning about another world through a small group of characters interacting and adventuring in it. Readers need to be able to handle an occasional expletive or sexual innuendo. “Greg was impressed; how did Iro know that he would agree to almost anything in return for a foot rub?" Giorgos Asimomitis, a.k.a. 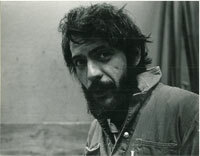 George J. Asimos was born in 1939 in Peoria, IL. He worked in a variety of positions from full-time university faculty to dishwasher to professional sculptor; from troop information and education NCO to long-haul truck driver; from foundryman to hotelier, but he missed being a sailor. Giorgos is well educated holding several degrees including: BA Literature and Composition, Northwestern University, Evanston, IL, 1961, BFA Sculpture, Arkansas Arts Center, Little Rock, AR, 1968, MFA Sculpture, Syracuse University, Syracuse, NY, 1971, and a BSc Physics, University of Minnesota, Minneapolis, MN, 1984.